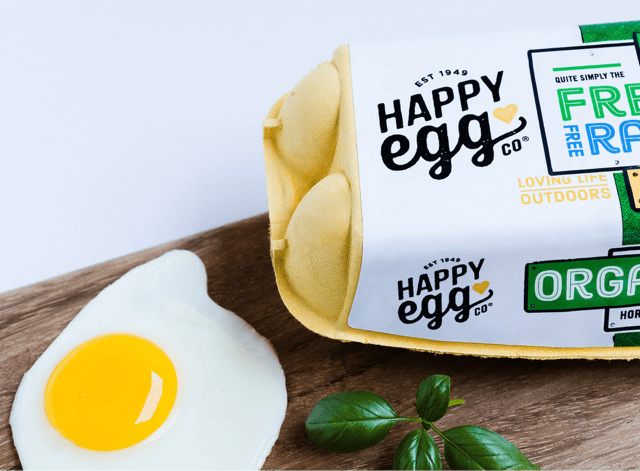 Find Happy Eggs Near You! 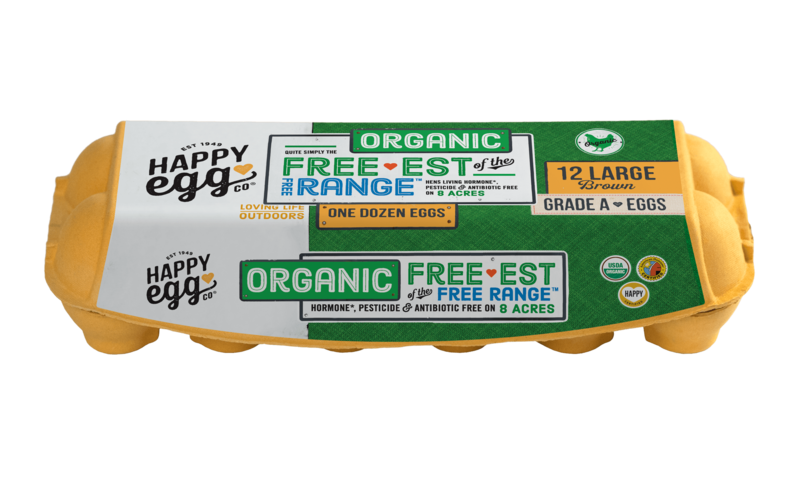 When you buy Happy Eggs you can rest assured they’re from hens raised in natural conditions, where they can perch, forage, dust bathe, stretch their wings, and more. To put it simply, our hens are raised with love. In fact, we’re quite possibly the Free-est of the Free Range. How do we know? Because not only did we pioneer Free Range over 30 years ago, but our current practices exceed the American Humane Society’s 5 Freedoms. Developed over the past 100+ years, these freedoms are the most rigorous set of standards in animal welfare. Choose love. Choose freedom. Choose Happy Egg. And now, (just about) straight from the farm…. 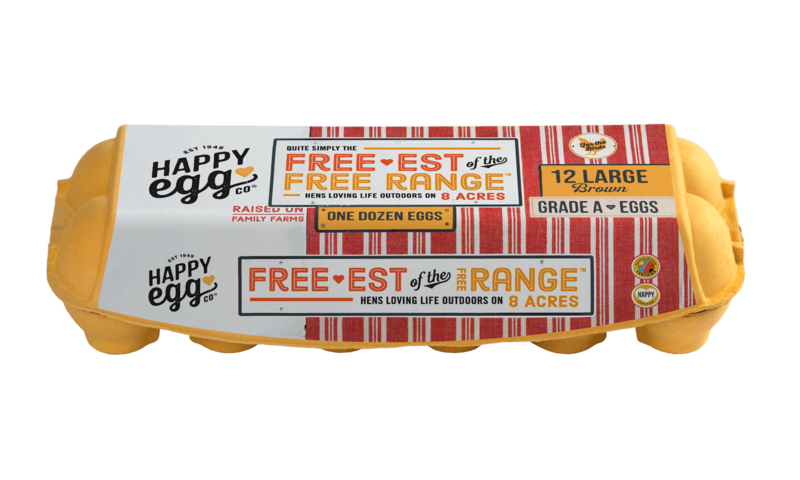 In select stores near you, our new Heritage Breed Eggs! True blue and chocolate-y brown shells, with deep amber-orange yolks…. From special breeds laying blue and brown egg on over 8 acres of pasture. From hens loving life outdoors on over 8 acres of pasture. From hens living hormone, pesticide, & antibiotic free on over 8 acres of pasture.